The Reifenhäuser Group will present an initial overview of its upcoming strategic plans at the NPE Plastics Show in Orlando, Florida. “We are expanding and have a lot on the agenda,” says Bernd Reifenhäuser, CEO of the Reifenhäuser Group. “Our showing at this year’s NPE is bigger than ever before: Reifenhäuser presents its full product portfolio at a booth that’s over 400 square meters in size, and will have more technical and sales staff present.” This expanded presence is a sign of things to come: “We will significantly strengthen our activities in North America, ramping up sales as well as service,” adds Reifenhäuser. At NPE show the company presents its new business unit Reifenhäuser Extrusion Systems. The Group paved the way for this development in January by acquiring EDS, an international supplier of high-end extrusion tools and special dies. “When we acquired EDS, we acquired significant design expertise in dies and film tools. Thanks to the tailor-made EDS product range, our manufacturing expertise, and our global sales structures, we can now serve our customers in an even more targeted and efficient way,” says Reifenhäuser. The Reifenhäuser Group has a strong foothold as machine builder, addressed by the Reifenhäuser Blown Film, Reifenhäuser Cast Sheet Coating, and Reifenhäuser Reicofil business units. By adding EDS to the Group, the Troisdorf-based family business took its competencies one step further; Reifenhäuser is now developing the components area into its own business unit. In line with this, the machine builder Reifenhäuser will present itself as a component supplier for the first time at this year’s NPE. The new Reifenhäuser Extrusion Systems business unit comprises the activities of Reiloy, of the extruder unit, EDS, and Enka Tecnica. Extrusion Systems develops and manufactures parts and components that convey and shape polymer such as screws, barrels, film tools, extruders, screen changers, spunbond fabric tools, and spinnerets. Uwe Gaedike, managing director of the new business unit says: “The new Reifenhäuser Extrusion Systems business unit operates alongside our established extrusion machinery business unit. Reifenhäuser Extrusion Systems is well-positioned to optimally serve customers and relevant markets with extrusion components. Thanks to our global presence, customers benefit worldwide: They can expect nothing but state-of-the-art technology, the best quality, outstanding efficiency and fast delivery.“ In the past, Reifenhäuser only supplied extruders and dies for its own lines; however, Reifenhäuser Extrusion Systems does not restrict its product portfolio to customers for the machine business units. At NPE show Reifenhäuser Group presents its new business unit Reifenhäuser Extrusion Systems. 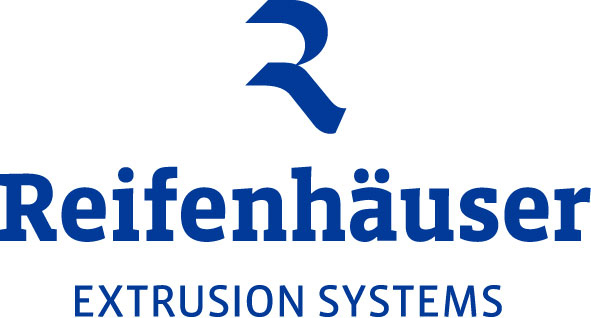 The Reifenhäuser Group is the leading provider of innovative technologies and components for plastics extrusion. Founded in 1911, the company creates high-tech solutions used all around the world. Drawing upon its technologies and the expertise of its 1,500 employees, the Reifenhäuser Group enables the production of blown films, sheets, cast films, nonwovens, and components of the highest quality. Bernd Reifenhäuser is the Group CEO. Will Maharashtra be able to implement the plastic ban effectively?